Find contentment in their God-given uniqueness. Take easy-to-follow steps toward claiming victory over comparison. Learn how to say, “I’m over it,” and mean it. Through relatable personal stories and practical biblical teaching, this book uncovers the solution to a battle all women face. Has the voice of comparison caused you to question whether you measure up next to her? Are you ready to erase comparison and embrace all God has planned for you? Then come along on the quest, friend. This book is for you. 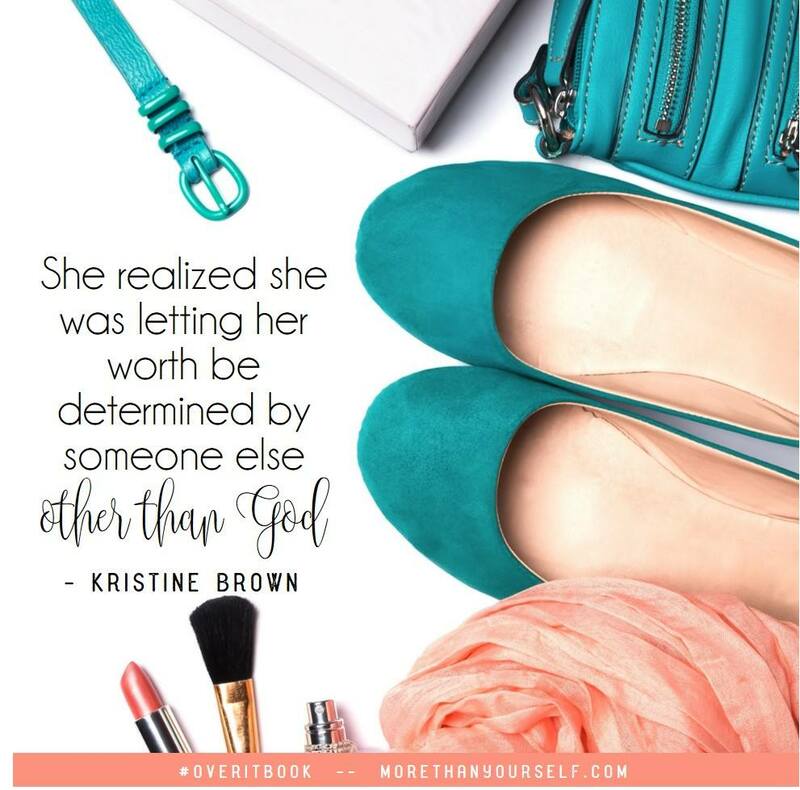 Kristine has - as my grandmother use to say - "Hit the nail on the head" concerning comparing ourselves to each other. She has made it a journey - she has made it fun, and she has made it encouraging. All of these things are needed to walk down a daily path of change. It's a needed change for each one of us. You see, in life, it's easy for us to miss our own uniqueness, when we want to look in the mirror and see someone else. We miss our own God creation staring right back at us. We do not want to miss our own path that God has created just for us to walk.It's way too exciting to miss a moment. Comparing ourselves to others is an age-old problem. 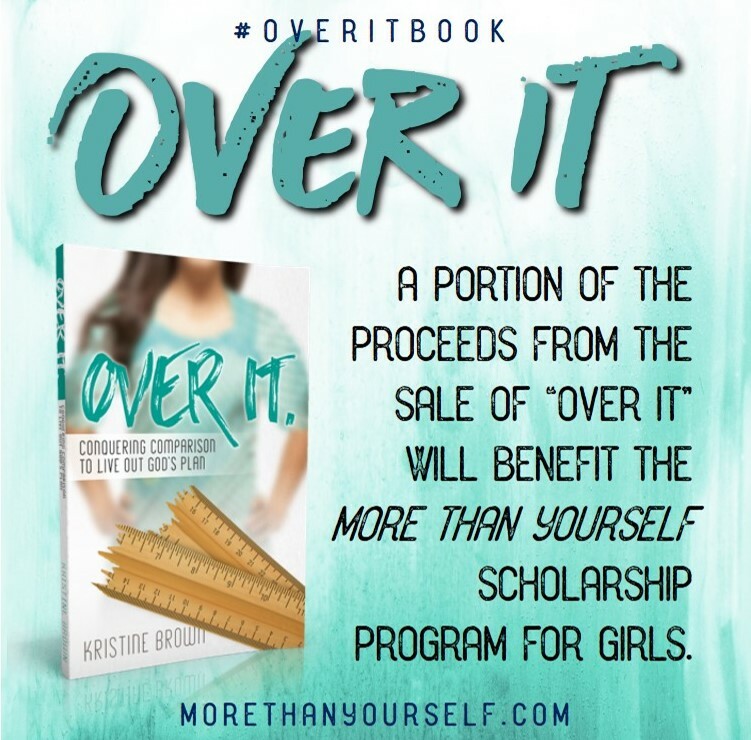 In Over It., Kristine Brown takes us on an eye-opening journey into the lives of three women in the Bible who struggled with their own feelings of inadequacy. 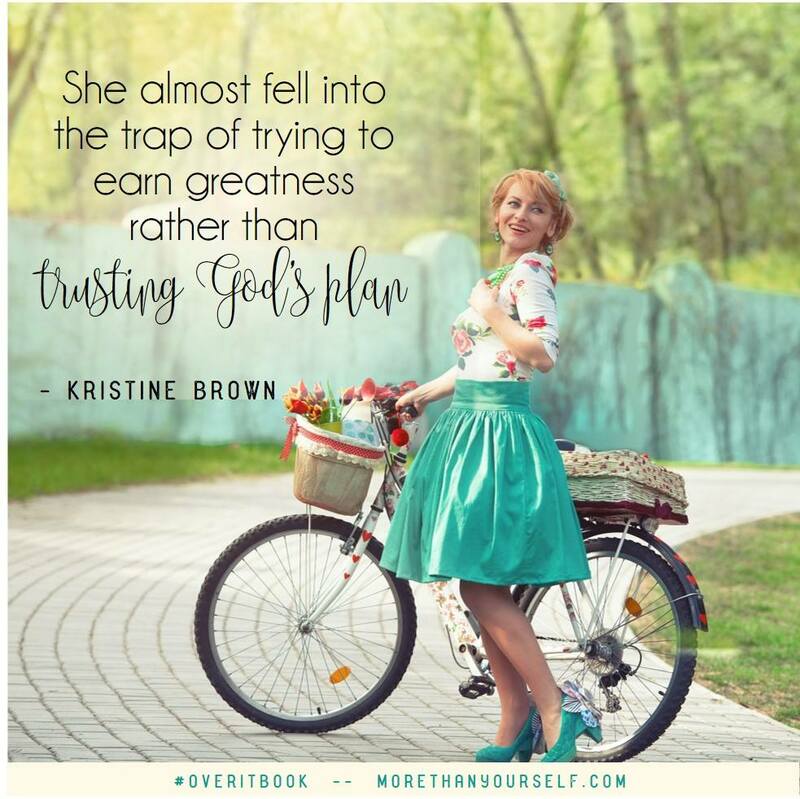 As we get to know them through Kristine’s delightful and often humorous storytelling, including stories from her own life, we can learn to appreciate each step of our own journey as God leads us in His way and in His time. Each chapter is full of practical applications and Scripture to help us overcome our insecurities and embrace the unique person God made each of us to be. scholarship program for junior high girls. Kristine and her family live in Texas. Proceeds from the sale of each book will benefit the More Than Yourself, Inc. scholarship program.